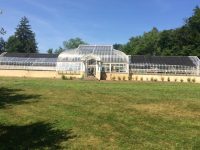 How Do You Control Your Greenhouse Temperature? Plants cannot survive without warmth and light. These two elements matter a lot. Fortunately, you can control these elements with ease when you have a greenhouse. Keep in mind though that when it comes to both light and temperature, moderation is everything. Too much of either of these elements and your plants will die. Too little and your plants will also wither. So just how do you go about controlling the said elements? Why are they so important? Read on to find out. The market is full of greenhouse monitoring applications. The applications are designed not just to monitor whatever grows inside a greenhouse but to also help in regulating warmth, moisture and light. The best ones come along with advanced features that can make it easy for one to measure soil acidity. With all these in mind, consider investing in a reliable greenhouse automation kit. The amount of sunshine on a given day as well as ventilation will always have an impact on the temperature inside a greenhouse. 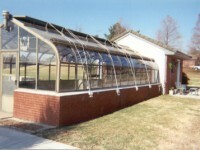 Keep in mind that greenhouse structures are all designed to trap and retain heat from the sun. 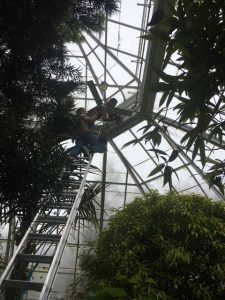 If one fails to monitor and regulate temperatures, too much heat will accumulate inside the greenhouse and will cause whatever is growing to die. You can, of course, open the windows or leave your greenhouse doors open. This won’t be enough though. 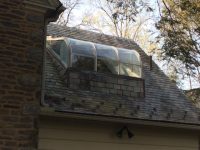 The best you can do is to ensure your greenhouse features a reliable ventilation system. Humidity is always close to a maximum inside a greenhouse because of transpiration. Plants release moisture into the atmosphere through transpiration. This makes it hard for one to control humidity. It gets even harder with the fact that humidity is ‘air that is constantly on the move’. The best you can do is install a dehumidifier to reduce high humidity levels. Optimum greenhouse temperatures with high soil acidity are never a good combination. It therefore makes sense to balance everything. Keep in mind though that when it comes to measuring soil moisture and pH you have to engage an expert. 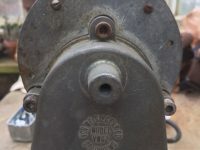 The process involves inserting probes into the soil attached to meters. This makes it easy to also capture soil temperature. The expert will then recommend the right fertilizer based on soil acidity. As for the temperature, you will have to control everything manually. Talk about thermal screens and the first thing one is likely to think of is greenhouse insulation. The screens come in handy when controlling greenhouse temperatures. They resist the amount of heat that rises above eaves. They also trap warm air in the lower side of the greenhouse around plants. The screens are also ideal where one wants to section off a heated area and leave given sections unheated. It is more or less like the use of the aforementioned thermal screens, only that base cladding is more reliable. Base clads are installed on the flow level of the greenhouse. This reduces heat loss by blocking out the lower portion of glass where the cold ground and greenhouse walls meet. Polystyrene panels placed at the lowest area of glass panes stands out as an ideal alternative to base cladding. The amount of temperature you need to regulate will always depend on the type of plants you wish to grow. The size of your greenhouse will also determine which temperature monitoring and control strategies you should choose. There are, of course, other factors such as weather seasons which you must take into account when regulating your greenhouse temperature. You should always consult a greenhouse installation expert whenever in doubt.